10.00am to 2.00pm, on 21 February 2019. 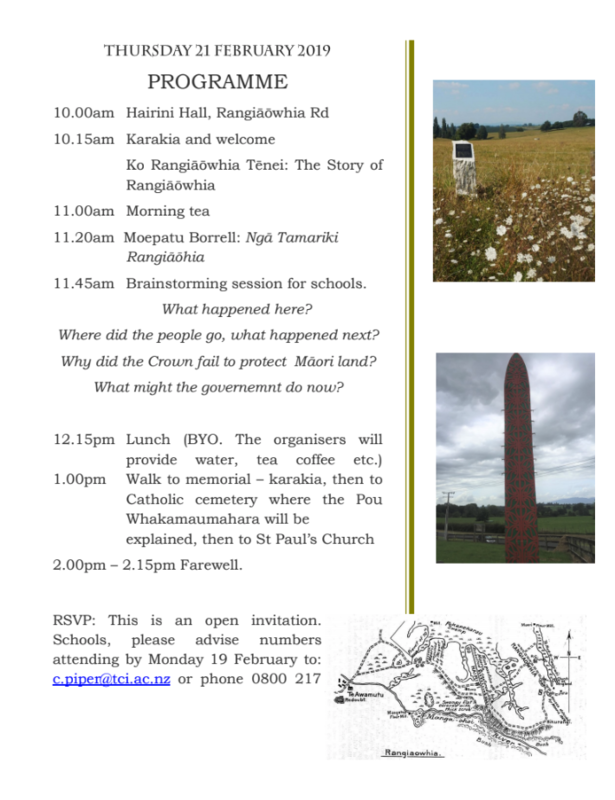 Gather at Hairini Hall Rangiāōwhia Rd between Cambridge and Te Awamutu. Rangiāōwhia is the site of the Catholic mission. This peaceful village was invaded by the Crown on 21 February 1864. A number of people were killed, some burned alive by the troops. BYO lunch. Come to listen, learn and join in the conversation.